Earlier this month my computer began acting up and freezing up in a way that I can tell it’s Mercury retrograde time again. I had remembered it was in March, but like clockwork, my computer has reminded me. 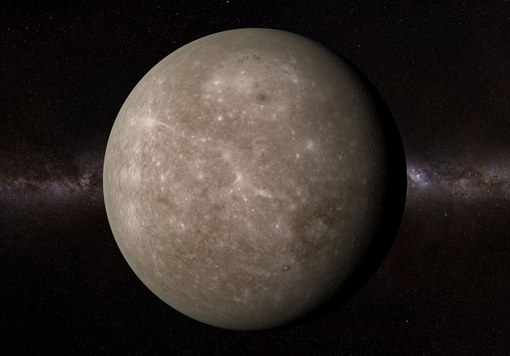 This month Mercury goes retrograde March 23 to April 15. We were in it’s “shadow period” when this started happening, which are approximately two weeks before and after the actual dates, in which we feel the effects. In the past, I’ve witnessed people, including myself, get into unnecessary text or email fights that were just misunderstandings that would not have happened if we were in the old days of talking on the phone after work or school, or talking it out in person, rather than lazily firing off a text or email with no real accountability. Let’s face it, when we’re on the phone old school style (and back then the phone had a cord and you were forced to be in one place and star at the wall or window and focus on the person and conversation at hand), we are more accountable for our thoughts. We valued someone enough to spend the time to call them. Back then, Caller ID wasn’t a given, and often these calls were lovely surprises from a friendly voice. While I’ve recently switched how I communicate to friends I value for other reasons than just retrograde, it’s good to reflect on how we communicate to those we do care about. If a friend is across the country and email is the easiest for your lives, that’s one thing. But even friends across the country lately have called me or I’ve called them like we did in the old days. It was refreshing and a nice gift even, in this electronic era. I’ve asked my close friends to go on walks with me and I’ve also said I will call more. Unfortunately in this era, we might have to email a few times to organize a call, unlike the spontaneous old days when you picked up every phone call. Most importantly, you can hear their voice and see their face and nothing can be misconstrued in an electronic communication. Things can be felt. Soul to soul. Since I’ve lessened my email to work-related issues since the new year, for my own reasons regarding my own energy levels, I find I have more energy too. The emails I used to send, even in kind thoughts to friends or something that made me think of them or to share with them that might help because it helped me, was a drain on what energy I have now. As we get older, time and energy is limited. A quick phone call can replace a thread of 20 emails. And you can connect soul to soul. Mercury rules communication. Which is why when it’s retrograde communications can get messed up. Maybe try to make this retrograde a time to make course corrections on the way you communicate to those you love and value to make the time to value them in this more personal way. Sometimes the old ways are the best. In my spiritual work, I deal with a lot of people who have loss or are grieving a loved one, and often the messages are about wishing they spent more time together while they had the time together. It’s a precious lesson I’ve taken to heart myself.